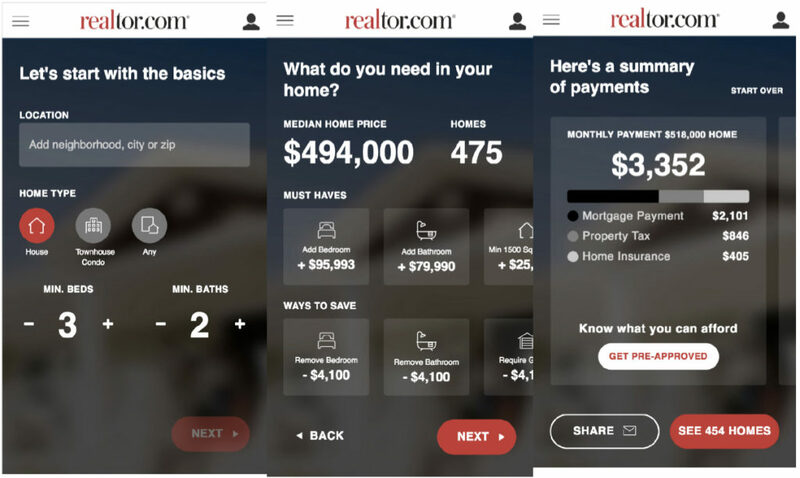 Realtor.com on Wednesday introduced a new feature to help homebuyers more deeply understand how far their dollar can actually go, also known as buying power, when shopping for homes. Price Perfect is a consumer-facing tool that allows shoppers to add or subtract the cost of specific home features and configure their ideal home in both their desired price range and the neighborhood of their choice. “Our research shows ‘how much can I afford’ is one of the biggest pain points for home shoppers,” Brad Sivert, general manager and head of mortgage for realtor.com, said in a statement. “It empowers them to find the right home that is both affordable and has the features that are most important to them,” Sivert added. Using the tool, buyers start their home search in the basic way of choosing the number of bedrooms, bathrooms and the location of the home. Within that search, they are shown the monthly estimated cost of a home, broken down by mortgage payment, insurance and property tax. Price Perfect then adds the flexibility of showing the homeowner roughly what their payments would be if they added or subtracted different features, like an additional bathroom, or if they wanted a condo instead of a single-family home. The tool uses an algorithm of listing prices and characteristics of homes in each neighborhood to gather a rough estimate of how much each feature costs. The algorithm is constantly reading new data to ensure the tool picks up market conditions in real time. In Madison, Wisconsin, for example, adding another bedroom costs roughly $62,500 and adding a bathroom costs a buyer an extra $24,045, according to realtor.com. Price Perfect is currently available on the mobile web and realtor.com’s desktop website. It will soon be available through its app on iOS and Android.